Salar de Atacama is known as the largest salt flat that can be found in the northern part of the Republic of Chile. 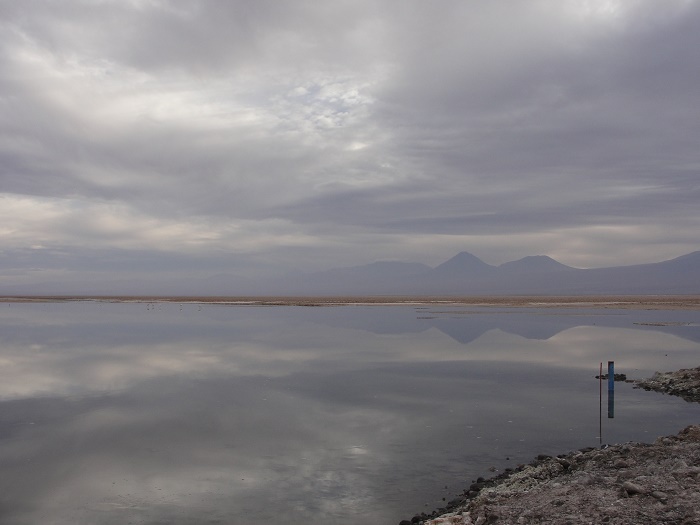 Surrounded by mountains with no drainage outlets, there are large volcanoes that dominate the beautiful landscape, among which is also the most active ones, Lascar. 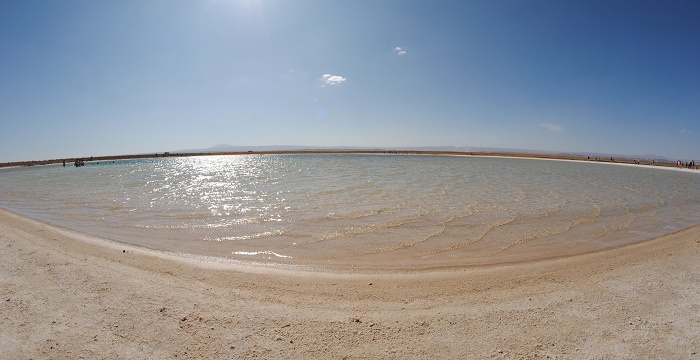 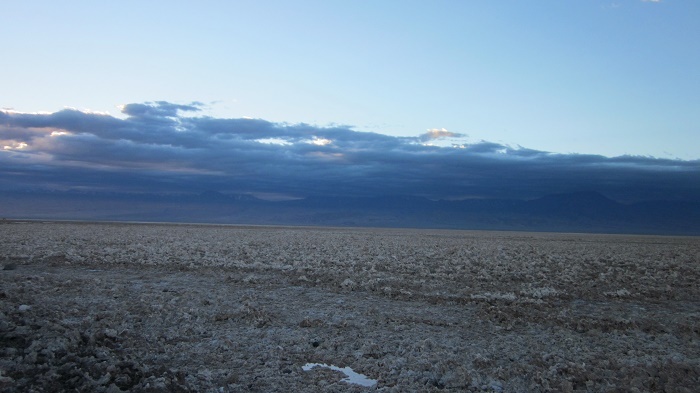 This peculiar place covers an area of about 3,000 square km (1,200 square mi), and as it stands about 2,300 meters (7,546 feet) above the sea level, it is considered to be among the top five biggest salt flats in the world. 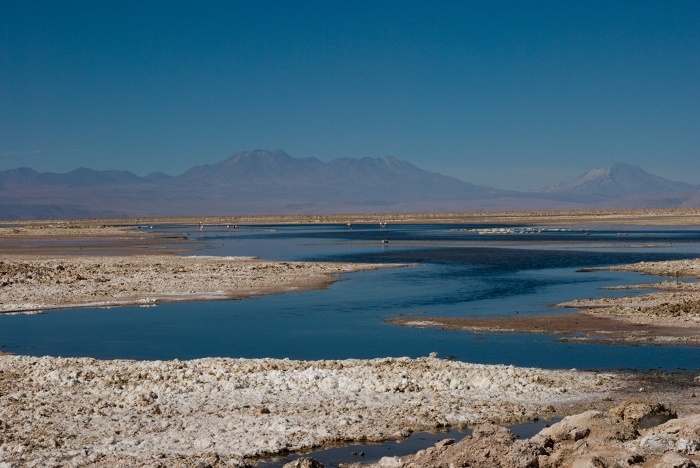 Formed by the water flowing from the surrounding mountain peaks which was collected in the Atacama Desert below, and as it is enclosed, the water is unable to escape from the desert basin, it evaporated which left behind deposits of crusted white and brown salt that some consider to now look like a form of dead coral. 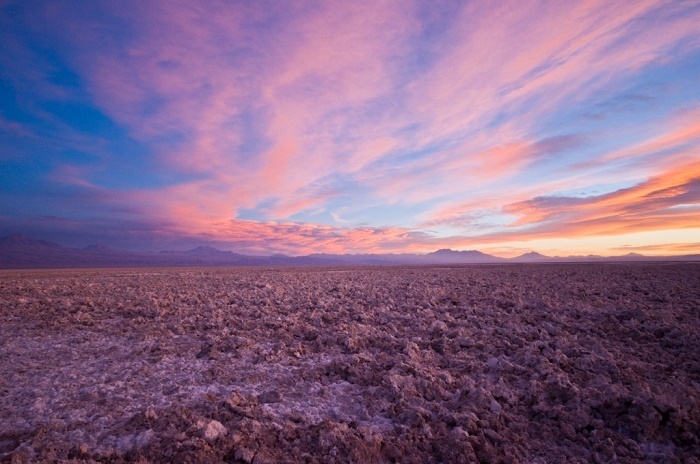 Still, this mesmerizing plain that stretches over the horizon in northern Chile is definitely an unbeatable sight which is home to the really important Los Flamencos Natural Reserve. 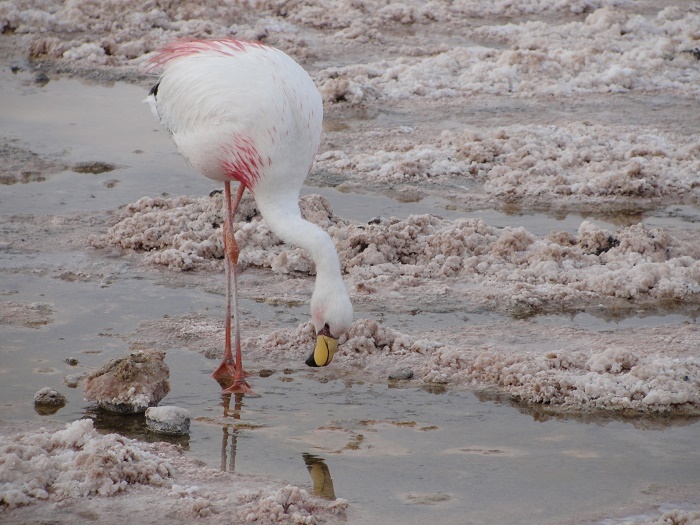 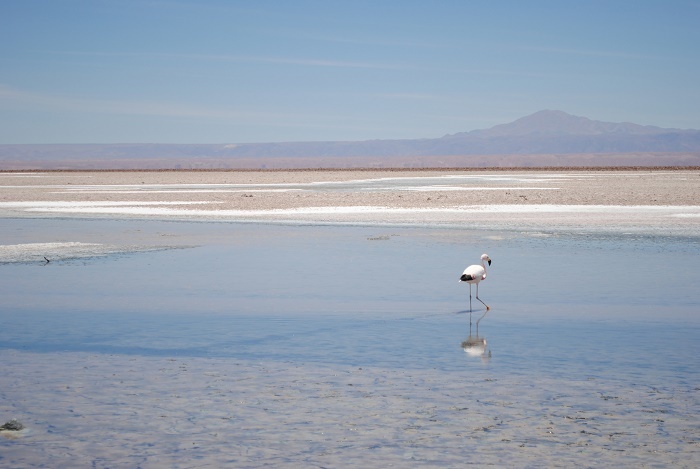 Salar de Atacama is home to various rare and endangered species of wildlife, such as the southern viscacha, vicuña and Darwin’s rhea, in addition to the most common Andean goose, horned coot, Andean gull, puna tinamou and the astonishingly beautiful Andean flamingo, Chilean flamingo, and James’s flamingo. 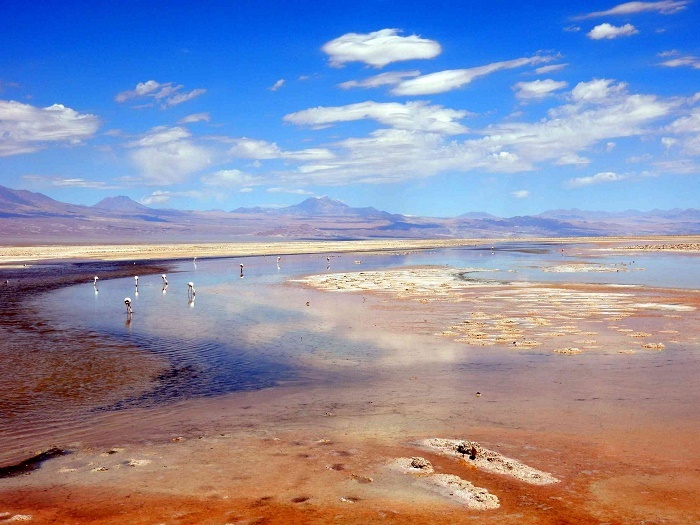 Nonetheless, the most important feature of the salt flat and also very important for Chile are the lithium reserves that are being taken from there. 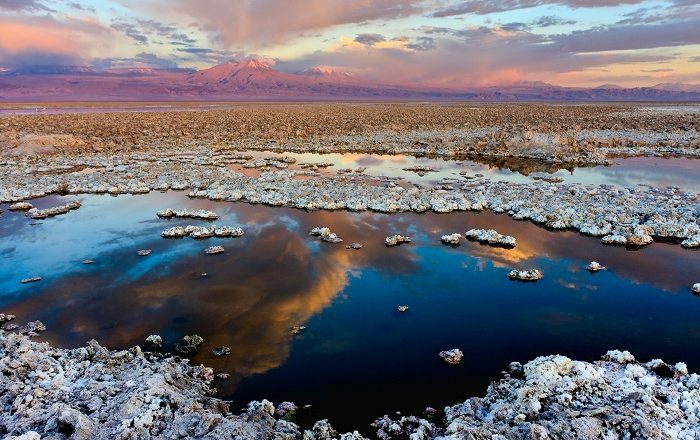 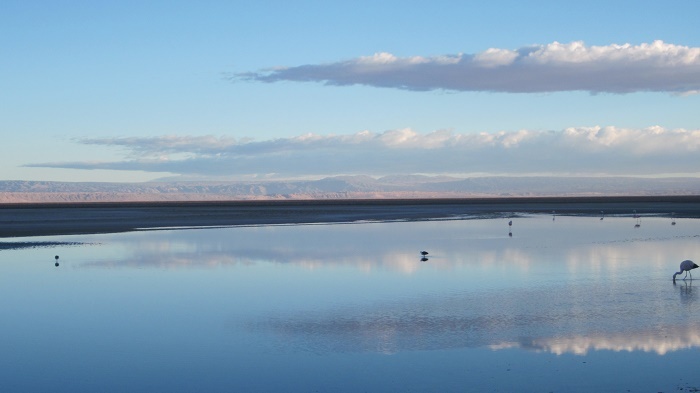 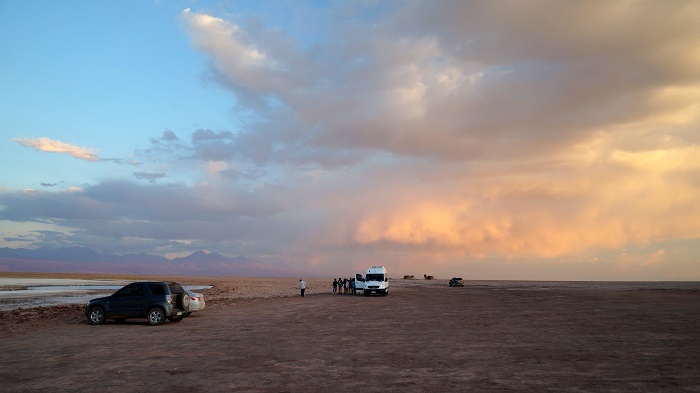 Being the world’s largest and purest active source of lithium with some 27% of the world’s lithium reserve base, Salar de Atacama is an important source for the Chilean economy, nevertheless, it becomes more and more popular site for visitors. 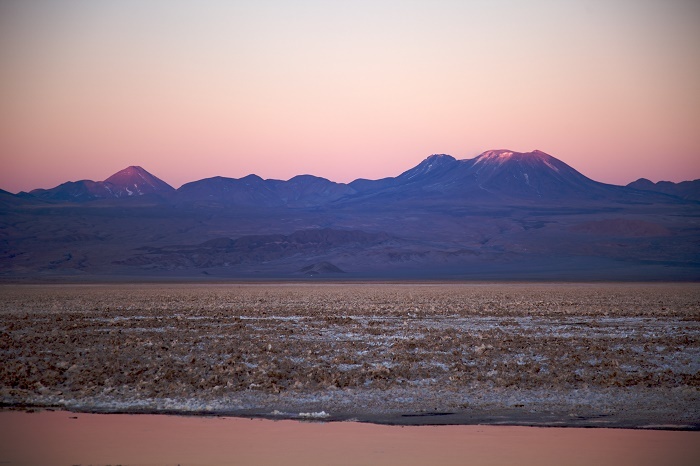 With most interesting landscapes that are encompassed with amazing colors from the rising and setting sun, Salar de Atacama is certainly considered to be among the most visited places in the south American country.